As a candidate, your job is simple - post an answer to this question, citing each of the questions and then post your answer to each question given in that same answer. For your convenience, I will include all of the questions in quote format with a break in between each, suitable for you to insert your answers. Just copy the whole thing after the second set of three dashes. Oh, and please consider putting your name at the top of your post so that readers will know who you are before they finish reading everything you have written. In addition to the earlier requested naming of your answer at the top, due to the number of candidates typically in the Stack Overflow election, once you've posted an answer, please edit in a link to your answer in this section. A user with less than 2,000 rep is on an edit spree, changing nothing more in all the posts they're editing than one or two small word(s), and their edit is either incomplete or is not an improvement of the post each time. They're up to 45 similar/identical edits in the course of an hour, and a majority of these are being approved by reviewers that aren't paying attention. How do you handle this editor and the reviewers? How would you handle a similar situation with a user who has full editing privileges? A user flags (as low quality or NAA) an answer that consists of only code -- no explanation, no references, just code. On the one hand, the answer is (1) correct and (2) self-explanatory to an experienced user of the language/tool in question. On the other hand, it's possibly meaningless to the OP. Do you delete the answer? A user flags a post or comment as rude or offensive to a minority group, or as a member of a minority group. You know little about the issues facing this minority group and the post would not be offensive to the majority of users. What do you do? Being a moderator you will able to close questions on your own and override other community votes. Will this change how you vote to close questions? More? Less? If you could add/revise one Stack Overflow policy/guideline, what would you change? Why would you change it, and what would it mean for the community? Will you be willing to moderate the chatrooms? Right now, Jon Clements is the only moderator who actively moderates chat. He's done some great work there already, but he can't babysit us 24/7. In the past few months, there have been a number of trolls who abuse flags, stars, and other worst of all - other members. Obviously, chat is secondary to the main site. But we'd certainly appreciate some additional help over there. Room owners are actually quite powerless in most situations. And I'm sure Jon would appreciate some rest from time to time. Moderators have a tool to manually ban users from suggesting edits - I would use that, then go through their approved edits and rollback where necessary. For the reviewers, I would look through them and see if any of them are obviously robo-reviewing. I have a zero-tolerance policy for abusing the review queue. If the only thing a reviewer was doing was approving these edits, though, I wouldn't be comfortable unilaterally banning them if this was the only offense. For the 2k+ user: This is a harder case. Hopefully, they respond to my earlier chat request. Otherwise, I’d ask my fellow moderators what to do, and learn from them. They’ve likely handled such things before, and would know how to handle it going forward. New moderators learning from old moderators is a wonderful thing. This is a quality problem, and should be handled by votes (and the review queues). As a human exception handler, I shouldn’t delete it. I would, though, leave a comment asking the author to add some explanation with their code. Our words are too complicated. Let's make them simpler! : I’m not sure that this is the best solution to this problem, but I’m proud to have started a frank discussion about cultural and linguistic differences. I believe we’ve shied away from the topic for too long. Also, my answer to https://meta.stackexchange.com/a/247749/215468 I like to take a complex issue and try to explain the solution to the user. As a bonus, that answer contains some of my opinions on the moderator position itself. You're doing it wrong: A plea for sanity in the Low Quality Posts queue: I saw an issue and addressed it. I'd do this more often, and with a little more authority, as a moderator. I also like to succinctly explain things - see https://meta.stackoverflow.com/a/283633/1849664 as an example. Sometimes, people just need a policy worded in a different way before they can understand it. I like doing that. No one is exempt from our rules. If someone is making the site a toxic environment, we can’t afford that. As with any interaction I have as a moderator: I want the user to stop the behavior, but continue contributing to the site. I would do my best to help the user ‘rehabilitate’. If they simply won’t stop the behavior, though, their contributions won’t stop me (and my fellow moderators, such a decision would be made with multiple moderators’ input) from enforcing a break from the site. We just can’t tolerate abusive behavior. I would ask them in private chat why they did so. One of two things would happen - either (1) I learn something new, or (2) we reverse a bad decision. Everyone makes mistakes, and communication is vital to any team, especially a team like Stack Overflow’s moderation team. I default to asking questions, so I would fit right in. As with a few of my other answers here, I would ask my other moderators what we should do. If I had to make a decision on my own, though, I see a couple cases: Either the content is superfluous/too-chatty, and doesn’t really add anything to the technical discussion, or it adds to the technical discussion but has a tangent or mentions something offensive to the minority. In the first case (too chatty), we just delete. No reason to make anyone unhappy over content that we don’t need to keep around in the first case. In the second case (it does add something), I would probably edit it out of the content. We don’t need to leave anything that offends a group of people of any appreciable size around. One exception, the “about me” section in user profiles: I agree completely with Brad Larson’s answer here, and with Jaydles' post on Meta Stack Exchange on the subject. Unless it’s truly terrible, I wouldn’t wipe it - and even then, only in consultation with other moderators. If it's something simple, like company credentials in the post, I would edit out the credentials or identifying information and ping a CM for a revision deletion. If it were a bad question that I would close/delete anyway, I would just delete it. Since this is something the current moderators deal with almost every day, there’s certainly a process in place for handling these. I would follow the process, and suggest improvements as (and if) I see them. I have a slight advantage here - I’d already been promoted to a binding vote on two sites. There’s definitely something that changes in how you think about closing questions. Specifically, I found that I only voted to close things that I was sure were off topic, to an even larger extent than before. That said, moderators have unlimited close votes. I believe that, while going through the queue (both the flag queue and the close vote queue), I would find plenty of questions that I would be comfortable closing. To answer the question: I would close more questions overall, but I would have a higher threshold for what is closable - because I don’t have four other people validating that decision. I'd like to do something with answer acceptance. I'm not entirely sure what, but I'm constantly thinking up new ideas. It isn't good for incorrect or low quality answers to be pinned to the top of the heap, but it also wouldn't be good to remove the checkmark entirely. Overall, though, we have a great set of rules that have served us well. I don't plan on jumping in and changing anything to start with - as I see things we can improve, I would definitely suggest them. Where there's a problem, I would be confident enough to either handle it or defer to someone who has better knowledge of the room or topic. I should be in chat most of the time - I like having my sites' moderator rooms open to stay up-to-date with what's happening. Please, ask any questions you have either in the comments here or in the election chatroom - I'm happy to talk about anything! Sadly, this is a real problem, as many people noted in the comments when this question was proposed. The editor making the useless edits is clearly rep-farming and needs to be stopped. I would temporarily ban that user to prevent further clutter and summon them to a private chat. If he or she responded, I would explain the problem. I would consider lifting the ban early if it seemed like the user genuinely hadn't understood the rules before, but I would require some significant persuasion. Most likely, I would let the ban run its course with a warning not to continue the behavior. As for the bad reviewers, it depends. If there's a pattern of the same reviewers going too fast and making bad calls, they might also need to be temporarily banned from the review queues. On the other hand, mods have too many other pressing things to do to go track down every single person who approved a given edit making only trivial changes. We all make mistakes, and we all had to learn somehow. I'd rather let the audit system catch the random errors. Regarding the similar situation with a higher-reputation user: I'd take pretty much the same steps as with a newer user. Some high-reputation users don't have much experience with editing or the review queues, so they may not know the rules fully. If it was a user I knew to be reliable, I would suspect some sort of haywire bot, and I'd want the ban in place to stop the bot from doing further damage. If it was somebody I didn't already know as a quality editor, I'd want to find out what was going on and walk them through the issue, just as with a newer user. No. A correct and complete answer is an answer and almost never low quality, even if it may not be super-high quality. See this answer (not mine) for more on this point. And even an incomplete or incorrect answer that is an attempt at answering the question is not worthy of a "Not an Answer" flag. I almost always leave comments and vote up or down as appropriate when I stumble across one of these, which is what I would continue doing. Something along the lines of, "This is a good solution to the problem, but it will be more helpful if you explain it a bit. Please add some discussion or even comments in the code to explain why it solves the problem in the question." If I personally can explain it in a sentence or two, I often just go ahead and do so in the comments. Yes! I'm particularly "proud" of two questions: Beware, all ye who `enter code here` and Is the “Help and Improvement” queue just bad-question purgatory?. I do lots of cleanup of these very issues (badly formatted questions and questions that are unsalvageable without OP input). My posts and comments there give insight into my moderation style. As an aside: I still think H&I is largely unusable, and I'm still interested in working with the community and the dev team to improve it. The option to cast true close votes (as opposed to raising flags) would go a long way. I also think this answer and this one, along with my interaction in the comments, demonstrate how I would handle different types of flags and other moderator issues. Finally, while these are not Stack Overflow-specific, I think my contributions to ebooks, on which I am a pro tempore moderator now, and Meta Stack Exchange are also accurate indicators of my overall approach. This is hard to answer in the general sense. Lots of flags might just indicate that the user is a prolific commenter and that some people have thin skin, maybe seeing comments on technical issues as comments on people. It might indicate a communication difficulty or language barrier. Or it might indicate abusive treatment of other users. I'd have to see the specific pattern to know how to address the problem. Generally, some gentle guidance in the comments and cleanup of any out-of-control comment discussions seems to help these kinds of problems. If the user was generating enough flags that it caught my eye more than once, I'd want to have a private chat with the user and figure out what was going on. Only then would I take any big-picture action, if necessary. Private chat (or offline discussion, for a mod I know offline). There are moderator-only chats for each site, and mods can always create a one-on-one room to talk about these things. It may be that one of us is missing something important, or it may just be an honest difference of opinion. Sometimes 3+ heads are better than 2, and a third opinion would help. The one thing I would not do is get into a close/reopen or delete/undelete kind of battle. That's unprofessional and pointless. As I said in my nominating post, "I know my limits. I don't moderate what I don't understand; I get help." There are some minority issues I understand very well, including some that are near and dear to me for various reasons. There are many other such issues I don't understand well, and there are some I don't understand at all. So, I would almost certainly get help before acting. That said, if there's an obvious racial slur or something of that nature, that's different. I may not grok everything about the problem, but I'm happy to delete or edit the offensive content, as needed. One issue here is that SO gets lots of spam-filtering and profanity-blocking questions. Those almost always involve offensive terms. (I don't know why people can't ask how to block innocent terms like foo and bar but not baz, but the posters almost always include some profanity.) Many of those are basically good posts, so flags on those posts are more likely to just get declined. In these situations, it depends on the language used and the context. No. SO content is licensed to the community and (through SO's publication of the content) the world under the Creative Commons licensing scheme. Once it's posted, it's essentially public property. Asking a good question, getting good answers, and deleting the question wastes everyone's time and takes valuable content off of the site. So, in general, no, I will not help you clean up your school/work mess at the expense of the community. I would help the user edit the post to remove the offending content or, if necessary, dissociate the post from the user to make the connection less clear. There might be very, very limited exceptions to this, such as if I have good reason to believe that the question is full of nuclear launch codes. But you are pretty much going to have to convince me that your post will collapse an economy, start a war, destroy a business, or have some truly dire consequences before I will ask the dev team to delete the question simply to clean up your mess. Yes; right now, I am a little more free with close votes than I would be as a moderator. I sometimes see questions in technologies I don't know well that strike me as unclear, too broad, or obviously off-topic, especially by missing a Minimal, Complete, and Verifiable example. Right now, I'm willing to close-vote those if I genuinely believe the post is unfixable. I'd be a little more hesitant to do that as the sole closing vote if I don't know anything at all about the technology. I'd still close the question if it was obviously defective - after all, questions can be fixed and reopened - but I'd much rather defer to the community if I'm just not informed enough to be certain of the answer. After all, close votes don't require diamond mods; you just need five votes or, for duplicates, a gold-tag-badge holder. All that said, I've cast well over 6,000 close votes on Stack Overflow. The vast majority of those questions did, in fact, get closed; very few of them are older than a week and still open. Frankly, I feel pretty confident in my decision-making on close votes. This isn't exactly policy, but in my ideal world, we'd bring back the no-effort close vote reason. I miss it. Too many of our posts are "give-me-the-codez" questions, and "too broad" doesn't really communicate the point: "Please go try something first." On a policy level, I'd be interested in exploring using one of the queues to stop "help vampires" from doing too much damage to the community. For example purposes only: if a user has posted, say, 10 questions with no or negative votes, has posted no answers, and has posted no comments, perhaps we should require that the user's next question pass through the VLQ posts queue. We have a lot of new users with large numbers of questions, all of them boasting zero or negative scores, and no answers. Sending these questions into the wild without any filtering just clutters up the site for everyone. This is something I'd like to explore and discuss on Meta, but not necessarily implement. I'm still trying to formulate my exact thoughts on it. Sure. I'm not a major chat participant, although I try to hang out in a number of the rooms that interest me and keep tabs on what's going on. Obviously, no moderator can actively monitor the huge number of chat rooms, but I'm happy to help handle flags there and deal with any bad behavior I personally witness. Edits are expected to be substantial and to leave the post better than you found it. Following up on this, I'd take a look at the reviewers as well. If the reviewers are engaging in robo-reviewing, I'd issue a review ban to prevent their continued actions. Especially if the answer is correct. It may not be a great answer, but deletion is not the appropriate action to take. Possible actions I'd take include leaving a comment requesting an explanation, down voting or even writing a competing answer with an explanation. In both of these, you can see that I care about quality on Stack Overflow. I've spent time analyzing the problem, as I see it, and present my findings to the community. I participated in the discussions that both posts generated and continue to run the bot to this day. Elsewhere on the network, my participation in meta has helped to shape communities. For example, on Hardware Recommendations, my meta post about "What type of hardware is allowed" helped to set the scope of what the community accepts as on topic hardware. I've also helped to set up the high quality guidelines for questions and argued against certain types of tags and hardware. With all of these, I've presented my arguments and logic and strived to remain professional. I believe the community on HardwareRecs has seen that as well. Finally, on OpenSource, I made a post about how moderators had implemented a policy to watch the reviewers. It was similar to the long removed "flag weight" option that used to exist. I believe the post was presented in a way that questioned the decisions of the moderators, yet remained professional. With all of these meta posts, across the network, I think you can pick up on my moderation style and personality. I like data and I try to present my thoughts in a way that is understandable to all. I'm also willing to speak my mind. No one has an exemption from the Be Nice policy. The posts are valued but the behavior is not. As such, I'd encourage the user to adjust the behavior. If this doesn't work, then a series of escalating bans - as is the common policy - would take place. With these bans would be a mod message explaining that their behavior isn't acceptable, regardless of the quality of their posts. While it's unfortunate to lose a user that has contributed good content, if they are driving away less experienced users with their behavior it makes sense to eliminate the problem. A toxic atmosphere of abusive comments should not be something a user of any level of experience has to deal with. There is only one way to handle this: talk with the other mod. I'm certainly not a mind reader and I'm guessing they aren't either. I'll take a few minutes to sit down and talk with them about my concerns, listen to their reasoning and, I imagine, we'll come to some kind of agreement on what to do with the post. When this question was posed as a potential question for nominees, a related question was mentioned in the comments. I have an answer on that question. The short answer is, that if I am unsure of the context - why would should I be offended by the comment? - then a discussion of some kind needs to occur. On option is talking to other moderators. It's likely they have seen such comments before and can explain the context. However, if they can't, it makes sense to talk to the user that is claiming offense. Using this discussion, I can learn the context behind why it's offensive. If I agree, I remove the comment. I do not delete the question. Unfortunately, for the poster, once they posted it's been licensed to Stack Exchange under the CC-SA terms. However, I will explain that they do have a few options that can be pursued. Option 1 is to request disassociation from the specific post that may get them in trouble. This removes their name from the post. Option 2 is to change code in the specific post to something more generic that still exhibits the problem the question is focused on. A combination of these two options may be appropriate as well. In rare cases, it's appropriate to ask for the original revision to be deleted. If one of those cases has occurred, I'll forward the request along to the Community Managers. If the question and answers are not good (ie. everything is down voted), I'm more willing to remove the entire post from the site. I do not like the idea of removing multiple good answers simply because someone didn't realize they can't post proprietary code on a public web site. More. This is simply because I'll have more options to do so. Working through the moderation queues will naturally lead me to issue more close votes. Voting organically, as I look for questions to answer, won't change either. I'm happy with my voting record and voting style. I feel I'm fair and accurate and will continue that behavior. Comment flagging: Comments can be removed if enough users flag a comment. If not, a moderator needs to handle the flag. Instead, opening this as a review queue can remove a lot of this burden from the moderators. Users could handle all but the "Other..." flag. There may be guidance needed on the "Obsolete" one due to the difference between "obsolete comment" and "obsolete code block" differences. Audit Review reviews: On Stack Overflow, we get a decent number of disputed audit review posts on meta. There may be a way to get users with a history of passing both audits and good reviews involved in dealing with these disputed audits. The idea would be to say whether an audit is good or not. These changes, and other areas where the community could be leveraged for moderation tasks, helps to remove the burden on moderators. Handling 2,000 (and growing) flags a day means that something needs to change. Moderators are exception handlers. They should be handling the cases that are exceptional - not comments that are no longer relevant. For the community, this would be more involvement with the moderation aspect. Users would be able to more quickly clean up a comment thread. Flag it and it appears in the review queue. From here, the moderators don't need to be involved. The downside of this is that it adds another queue for users to be involved with. Yes. In doing so, I admit that I'd need to learn the cultures of several rooms on Stack Exchange, but I think that is a worthy goal. In my profile, you can see several network chat rooms that I already frequent. I help handle moderator flags at that level. Learning the rooms, cultures and users around here is something that I look forward to. There are two broad categories such behaviour falls into: obsessive nerds, or someone trying to game the system to artificially ramp up reputation. If the former, we do not necessarily disapprove of this behaviour, though the user should probably spend more time on more substantial edits instead of thousands of tiny mostly useless edits. If the latter, we certainly want to suppress that behaviour. In either case, contacting the user is a first step. If they're reasonable, it should be possible to rectify the situation with that. If they're not, their response and future behaviour will show that, and more drastic measures can be taken to stop them. No. There's no reason to delete a correct answer. If it's not valuable because it lacks too much explanation, it can be downvoted (though I probably wouldn't even do that). First and foremost, if you think it lacks explanation, comment on it to point that out, or suggest an edit adding a bit of context. Having said that, there are usually two types of code-only answers: long walls of code along the lines of "I fixed it for you", and short three-or-four-liners providing concisely the answer needed. It's only the former ones which are a real issue, since it's often not even obvious what exactly was changed/fixed. How can we discourage over-downvoting on questions? Is it helpful to add a “worse” answer to a well-answered question? Should one answer terribly poor questions? Is it OK if I flag a question for removal because the OP is being rude to everyone trying to answer his question? That largely depends on what the comments/flags are about. If the user is actively rude, that needs to be addresses urgently. Rudeness and aggression must not be tolerated. The usual steps should be taken: contact, on non-compliance some time in the penalty box etc. If the discussion is largely about technical merits, there's not much to do. The community is judging technical prowess by votes, it's not up to moderators to decide. Perhaps the user is simply drawn to a lot of VLQ posts which can often end up in long comment threads where people are trying to pull information out the OP's nose; in this case a simple reminder that one is not obliged to waste time in those threads will do the trick. The last thing I'll get into is a close-open war with another mod. Even if there may be disagreements, mods shouldn't be airing such dirty laundry in public. If I'm of a very strong opinion about the question, I'll contact the mod asking for reasons and/or whether I could change their opinion. Try to understand the issue at hand by contacting the minority involved, since it's apparently elusive to the general public. If I get to share the understanding of the offence, it may be worth a Meta or blog post to educate a wider range of users about the issue. No. It's up to every poster to check whether they'll get in trouble by publicly posting content before they do so. Their content is now public in more ways than one (caches, copies, licensing etc. ), so the cat is already out of the bag. In extreme cases, we can talk about disassociating the user from the question and/or irretrievably editing-out sensitive details; though the OP will have to be very convincing for this to happen. Good question. Tricky question. I'm using many of my available dupe hammers many times a day already, so nothing would change there. In some rare cases I cast a tentative close vote and wait whether the community agrees or not with four more votes. I may get slightly more reluctant in these cases. In many other cases though, I'll be happy to be able to close clearly crap questions immediately which would otherwise take forever to accumulate the five votes needed. At the moment I do not have anything in mind that would need changing. The policies have evolved quite a bit over time and are at a decent point I believe. They will have to change again sooner or later, I'm pretty sure, and we'll cross that bridge when we get to it. As such, while I'm not opposed to the idea, I may be reluctant to do so. If I can be notified of issues without actually being in the chat constantly, I may be able to help out. Good evening! Here're my answers. A quick comment on one of the posts they've edited (editors get @pinged) goes a long way. Most of them need guidance, more than correction. There are cases, however, when a user is abusing the suggested edit system to get easy rep without making actual contribution. In which case, a moderator can (and should) ban the user from making suggested edits or in extreme cases, privately contact and suspend the user from the site. It heavily depends on context. This also applies for users with full editing privileges (the only difference is that we can't revoke their privilege). As for the reviewers. We can investigate to see whether their approve:reject ratio is abnormal, and suspend their reviewing abilities. No. I would ask the author to clarify their answer and/or downvote. Deletion is for unsalvageable crap. Yes, as a matter of fact I do: Enhance moderation ability by encouraging excellent content and Let's not strive to make all canonical questions a pain to make are my personal favorites. History suggests that users, even high reputation ones, who are being disruptive eventually get suspended. I hate getting there. I'd try any avenue possible, from speaking in chat, to privately contacting, to even speaking to the user outside of Stack Overflow (by email or some other sort), to avoid suspension. In any case, suspending highly contributing users are never a one moderator call, and usually include a Community Manager's involvement. Speak to said mod and reach a conclusion. Moderators have private chatrooms and flags in which we can communicate with one another effectively. I would not just undo the moderator's action, that is unprofessional. If we cannot reach a conclusion, I would put it up for public discussion in meta. I'd try to seek advice from fellow moderators and hopefully get someone who knows the issue better than myself. If no one knows enough, and Google doesn't provide with enough details on the problem. I would decline the flag, and prompt the user who raised it to raise the issue again in meta. The current policy in place is to not delete a good question with useful answers, even if OP asks for it. I would ask whether anonymizing their question is good enough, and if it isn't, then the issue would have to be escalated to a Community Manager. I'm aware that it's being harsh, but my stand is that what you post on the internet is now public information, if you have company or other secrets, you should know better than to post them online. TL;DR: Involve Stack Exchange staff. Maybe a little. I'm often very sure with my votes. I do have a gold badge in 4 tags, plus I am a moderator on other sites. So I'm confident with binding votes. None. I firmly believe in organic growth and public discussion. I have a few ideas for moderation tools that can be added, (for example, community handling of more flags, moderators from other sites able to respond to red flags, etc). But those will need to be discussed first. Absolutely! Chat is where I've most active, and I feel it's a very important part of the site. Discussion with smart people is something we should encourage. Chat moderation on chat.stackoverflow is severely lacking (as well as chat attention in general), and that's something I'd really want to change. I would ping the user via comment or chat and point them to resources about what makes a good edit and to some of the many meta posts about why the described behavior is not OK. In most cases I've seen this causes the user to change their behavior, but there's always suggested edit bans if the behavior persists. Though some of the issues with this behavior aren't relevant for 2k+ users (the rep gain goes away and suggested edit queue reviewer resources are not consumed) other issues remain (e.g. flooding the active page). As a result, I might still ping a 2k+ reviewer via comment or chat in particularly egregious cases that have both a high volume of edits and that really aren't fixing anything. As for robo reviewing, I've flagged it for mod attention whenever I've seen bad cases of it, and as a diamond mod I would hand out warnings and review bans where appropriate. No -- since the indicated answer is correct and self-explanatory to an experienced user then neither a VLQ nor an NAA flag is appropriate and I would decline either. Especially for new users I will often leave a small comment encouraging them to expand their answer, often to good effect. I made some efforts to deal with the significant backlog of tag synonym suggestions in Let's handle doomed tag synonym suggestions and Let's handle the backlog of tag synonym suggestions -- I'm proud of working to tackle this problem and of the small decrease in the backlog these posts caused, though more work on the backlog remains. I'm also proud of my work to deal with voting rings as described in Possible spam ring; too much going on to describe in a custom flag. Last but not least, I'm proud of Visualizing Data About Stack Overflow Election Candidates, a recent meta post I wrote describing a tool I made to visualize statistics about moderator election candidates. You can check out the tool at http://josilber.scripts.mit.edu/SOElection/SOelection.html. This depends on the nature of the arguments/flags, as there's a spectrum all the way from a user who just occasionally leaves terse comments (no mod action required) to a user who is rude/abusive to others (requiring at the least a conversation and possibly a timed suspension). I think it's important for all users to be civil to one another regardless of their reputation (this is enshrined in the "Be Nice" policy), and I would suspend a user who is repeatedly abusive to others. That being said, I would certainly do so in consultation with the other mods and with the full understanding that such suspensions are highly scrutinized by the community. I would ask them about it privately and in a cordial manner. It could be something simple that's easily remedied, like a misclick or one of us misreading a question or answer. Even if not, it's likely that after a bit of discussion we'll come to a good decision about what to do with the post, and there's a good chance I'll have learned something about moderation in the process. I would err on the side of removing a phrase that might be offensive -- Stack Overflow is a professional site so I can't see many situations where borderline offensive material would be important in a question or answer, even if the majority of the population wouldn't be offended. After verifying the user doesn't appear to be trolling (aka they are legitimately offended by the material), I would remove the comment/phrase from the post. I would be very unlikely to delete the whole question because it has already gotten some good answers -- it's unfair to those who have already answered to have their work destroyed and it is further unfair to future internet searchers who would no longer be able to benefit from the content. By asking a question on Stack Overflow the user has already licensed the content to Stack Exchange, as evidenced by the footer in really small font at the bottom of every page. That being said, I would probably mention the option of disassociation from the question or editing and nuking the revision history, along with the disclaimer that these options should only be used in extenuating circumstances. If instead this post had a small number of low quality answers then I might instead delete the question. I have definitely seen diamond mods take this path to deal with users vandalizing their own posts due to having posted homework or confidential information. As I said in my statement I try to moderate with a light touch; this is certainly something I would continue as a moderator. I already cast close votes keeping in mind that my action might end up on meta (after all, it might! ), and I routinely skip close vote review tasks when I feel I don't have the expertise to moderate them. In short, I don't think I would dramatically change how I assess whether to cast a close vote as diamond mod because I am already quite careful. I think this should be coupled by moderators more proactively responding to tag synonym requests that are posted on meta, something that I would like to do if elected as a diamond mod. I think these improvements, taken together, could significantly help both regulars and new users find relevant content fast. I've never been a room owner, but I have tried recently to become more active in chat, and I would be glad to moderate where needed. Hey [name]. You seem to have made several minor edits during the last hour. As noted in the help center, Tiny, trivial edits are discouraged - try to make the post significantly better when you edit, correcting all problems that you observe. If this behavior still persists after such a notice, I believe a moderator can impose an edit ban, and if that doesn't work either, longer or wider bans could be employed. With regard to the edits already made, I'm a firm believer that actions should be judged by their own merit, not by whoever performed them. A minor edit that doesn't correct all the problems in a post but is still correct still improves the post - I wouldn't touch it. In fact, I'd probably complete the editing task on that post to show a better example. Any edit that actually makes the post worse, I'd revert. With regard to these post's reviewers - again, my guideline is giving people the benefit of the doubt. Everyone can make a mistake, or several, or even full-heartedly approve such an edit due to his own belief it was a good edit. However, if I see a pattern of the same user(s) approving multiple edits, I'd leave a note on one of those edited posts. If this bad behavior persists, I'd consider a temporary ban from reviewing. The second case of a user having more than 2K reputation is more interesting. On the one hand, such a user has less to gain from such behavior, except for perhaps chasing the Editor/Strunk & White/Copy Editor badges. On the other hand, with more than 2K reputation, such a user should have a pretty good idea of how editing is supposed to work. I'd still leave him a message, but would be much more inclined to revert his edits and/or edit ban him. @name while this answer seems correct and may be self explanatory to a reader with good knowledge of [subject], it would be significantly better if you explained the problem in the OP's code and how your code fixes that issue. Regardless, I'd mark the flag as helpful. Despite not triggering the deletion of the answer, this is the kind of behavior you'd want a mod to be aware of, and I prefer it if the potential flaggers err to the side of caution. Admittedly, I haven't been too active on Meta. I don't know if "proud" is the right word, but I especially enjoyed sharing my my story in the 10M question thread. I have a couple of answers (1, 2) that express some of my thoughts about SO and about moderation - the way the site's mechanics can and should be used to encourage the behavior we'd like to see, and moreover, my belief that communication is key, and you should assume users act as they act due to misunderstandings, not malice, until proved otherwise. I'm a firm believer in the Be nice rule. A "steady stream of valuable answers" is definitely positive, but not at the cost of making other users feel unncomfortable or unwelcome. Like with any other user, I'd delete the belatedly offensive comments, and issue a warning. If the same user continues with this behavior, banning, although it's an extreme measure, is always an option. First, I think that a bit of disagreement is a good thing. We aren't robots, and all the mods were elected, by part, due to their views of how moderation should be done. These disagreements are an important opportunity to exchange ideas and learn from each other, so I'd try to understand why he/she handled the situation the way he/she did, and try to explain why I'd have handled it differently. Having said that, it's important to display a unified message, so users don't get the feeling that behaving in a certain way is OK during specific hours when mod X is active, or on a specific topic when mod Y focuses his attention - so I'd try to have this discussion in some private medium between the two of us, or within the moderators group. I'm not quite sure about the technicalities of such a medium, having never been a mod before, but I'm sure one exists. Delete it, upfront. And if such a transgression occurs, ban the offender. Besides the general guideline to "be nice", such offenses of this kind are especially unacceptable, as they criticize the poster, not the post. A comment like "this is a horrible solution because of XYZ" may be harsh, and depending on the wording even inappropriate, but it's essence still deals with the issues we all came here to discuss - coding. The fact that the poster belongs to any nationality, religious group, gender, sexual orientation, etc. has nothing to do with the quality of his posts. The fact that someone attempted to make him feel unwelcome because of such an affiliation is, in my opinion, inexcusable. Generally speaking, no. Although I've advocated giving people the benefit of the doubt throughout this answer, I must admit that such behavior strikes me as dishonest. I find it hard to believe that someone honestly didn't understand what harm a post could cause them, and only realizing it after his question got answered. Regardless, SO doesn't aim to answer questions just for the benefit of whoever asked them, but to be a useful source of information. Once the asker put his question out there, he lost any ownership over it he may have had. Having said that, I think that there are several reasonable exceptions. First, I would definitely help the asker edit/modify the question to remove personal or corporate information that isn't crucial to the question. Second, if leaving the question up will expose SO to any legal liability (e.g., publishing copyrighted materials), I'd definitely help removing it, or at least editing it so the issue is defused. Both, surprisingly enough. First, I'd put in more effort closing questions I feel 100% confident of closing (not that I haven't been doing so so far, with more than 11K close votes and 4K deletion votes). Mods are given their extra privileges due to the community's vote of confidence that they will use them wisely, for the greater good. Not to use them would be an abuse of this trust. On the other hand, I'd be more hesitant with questions I'm not 100% sure about. I sometimes encounter a question that I'm not 100% sure should be closed. I usually wouldn't mind casting the first or second close vote on such a question just to get the ball rolling, since this close vote will essentially be peer-reviewed, and if I'm misguided, this closure vote should ultimately be rejected. As a mod, you don't have such a privilege - your close vote is immediate, and requires no coalition, so I'd think long and hard before closing a question I'm not sure about. The one policy that always bugged me was the 60 day limit on migrations. As the Stack Exchange network grows and add more sites, more and more questions seem to have a better place than SO. Two notable examples are Database Administrators that was launched several years after SO and Open Source that just recently launched its public beta. The way I see it, the questions (and more importantly - the answers!) in SO don't exist only to help the original asker, but as a (hopefully) searchable knowledge base that future users can use as a reference. And where would we want to direct people looking for answers on database administration? Here, or to a specific site dedicated for such questions? This should obviously be done carefully. For example, we shouldn't penalize users for asking or answering questions on database administration here before there was a dedicated site for it by removing their points when the question is migrated. But implementation details aside, I really see no point in this question "ageism". If a question is better suited to a site other than SO, it should be migrated there, regardless if it's sixty seconds old, sixty days old, or sixty months old. Frankly, I'm not an avid chat user, but sure - it should come with the territory. You can't be a moderator by only moderating the parts you enjoy and ignore the parts you don't like. The reviewers are a different story. Assuming these are being approved by a lot of the same reviewers, a timeout is definitely needed for them. If there a reviewers who just approved one here or there but doesn't have a history of this behavior then I don't think any action is needed there. I'm a big hater of code only answers. But...it wouldn't be my job to decide on the technical accuracy nor would I be expected to so those points are meaningless here. It obviously is an answer so deleting and accepting either flag would not be fitting. This could still help someone else so I may suggest to the author to add some explanation and/or references with their code. This post about abusive chat I think demonstrates well how I would moderate. I feel I did a good job of getting to the real issue and helping to defuse it. I cleared up some misunderstandings and took blame where appropriate. I did all this after taking a short break to collect and calm myself because, from the beginning, I wanted to use a lot of different words and tone than I ended up with. I'm not sure this can be answered without knowing if the flags or arguments are legitimate. However, this is obviously a beneficial member of the community so my first approach (assuming there is some validity to the flags/arguments) would be to reach out to them, let them know (on a general basis) what is happening, and offer some friendly advice to stop these reactions. The first step here would be to reach out to the mod in question first. There's no need to involve others if this can be handled between us. Maybe I am missing something that the other mod sees or maybe the other mod is missing something. If we can't see eye to eye or agree to disagree, my next step would be to involve some other mods in chat or elsewhere. If the user is offended (and it's not obviously a troll or similar) then the post should go. It might not offend most, but we should strive to not offend anyone (yes, this is quite impossible but we can do our best). If the user has a history of doing this, sorry about your luck. You obviously know by now that this isn't acceptable on a large scale. If it seems to be a genuine mistake, I would do what I could to have information changed to protect the user as best as possible. If this isn't a possibility then I think the user should do the work of asking a similar question with no real information then I could migrate the answers to that post. Win win win! I don't see why anything much would need to change here. I would still "vote" the way I would now. This is tough and I'm sure there's a lot more that I could think of which would be more important. However, the first thing that comes to mind is the 20 chat rep limit when a higher rep user wants to invite a low rep user to chat to discuss a post and/or the use of SO. I've got a meta answer regarding temporary chats for this purpose. I think this could eliminate a lot of clutter in comments, keep different folks happy and interested, and would do a lot of good. Again, there's a lot more that would probably be more beneficial but that's the first thing that pops in my head. I'd really like to see that feature go through. Yes! Certainly! I love chat. I try to mention it in meta posts/comments any time it is somewhat relevant. It's too bad that chat is so "secondary". It is very helpful to myself and many others that I've talked to. I think it should be utilized much much more (instead of SO posts and meta posts in many situations). For example, there are plenty of meta posts about closing/reopening questions which may be closed as dupes that are better handled in chat by experts of that language/technology. We of course see a ton of off-topic/broad questions on the main site which would be completely acceptable in many chat rooms. With the edits being approved it may be hard to even notice this behavior. Assuming that perhaps the edits are being rejected at a slow rate which accumulates to eventually result in a moderator flag or similar behavior (I don't have access to those tools), I am not sure if they are already banned from editing. If they were automatically banned, then there is no longer any required action to take with regards to the user as their ban has started. However, there are now 45 posts which require review to see why edits to those posts hit the automated edit ban. 45 posts isn't too many to review so I would look them all individually - this wouldn't be the first time I have had that many tabs open. In all likelihood if it took 45 posts to hit the ban some subset of the content is agreeable so I don't want to just walk over everything with impunity. I would end up rolling back only the edits that seemed egregious. At that point I would go to the egregious posts and then look at the approved reviews to see if any of the reviewers were roboreviewing - this could take a while depending on how large the set was. Depending on their actions it may be necessary to remind them to take longer per edit and when possible improve the post for small edits. If they were truly roboreviewing I would hand out a small review ban and indicate why in a message. Code only answers are an attempt to answer the question. While they may not be as helpful as other answers, that is for the community to decide. I would decline a flag on these posts because it isn't a moderators duty to delete code only answers on their own without a very good reason. As a member of the community I would perhaps comment on the post that it could use an explanation of why the code was a solution, and downvote if I felt the approach shown was not appropriate. There are a lot more of these in my profile, feel free to poke around. For the majority of my posts I focus on addressing low quality questions in general that would abuse the community by simply requesting work like Stack Overflow was some sort of personal code writing tool. I see this often "in the wild" (while browsing/answering). Sometimes users get into rough disagreements and they get personal with each other. It is an unfortunate side effect of disagreement and it is a problem in more places than just Stack Overflow. One instance of this happening could be an anomaly. However, a pattern of this is unfortunate and would need to be addressed. It should be a scaled approach though, lightly admonishing at first, then removing the ability to comment, and then suspension of some time frame. Suspending a contributing user should be a consensus between several moderators in my opinion, and this is only in extreme cases. More than likely the admonishment would be enough for the user to improve their ways. I would do what I do now. Take it to meta and ask the community. After all, as moderators we are just community members with extended powers, but we are still part of the community and should abide to the community consensus in these situations. By getting the response from meta on the question, the community would more than likely action it themselves here, or perhaps my disagreement was not consensus and it remains closed. I think that content reigns supreme here, and if comments aren't content based then there is no point to having them around. I would remove the comment if it was even hinting at being off topic because comments are second hand citizens. Also, I believe users here should be respectful and show class at all times when interacting with other members of the community - and that definitely includes minority groups. Depending on the severity of the comment, more action may also be needed for the user such as a message, comment ban, or suspension. Unfortunately the question will not be removed. The content is now a part of the community and that is the price you pay for putting anything out on the internet - welcome to the 21st century. However, there are still some possible remedies here for the user. The request can be escalated to have the post disassociated from their account and the content edited to remove any personally identifying information. This will not change how often I vote to close questions. However, it will change how often questions get closed because sometimes questions do not receive enough attention to be closed by 5 members of the community. This issue led to several problems historically (we used to have over 100,000 close votes) and so now they age off quicker. My point is that I am very confident that I can assert the community consensus for closure on questions, have taken part in years of discussion on the topic, and would have no qualms closing questions with a binding vote. I love chat, what a great feature and group of people! I have posted too many messages to chat (70,000) and am very familiar with how it works and avenues of moderation there. Jon Clements is a good guy, and we mostly agree with each other on the types of chat moderation required. You can see a post that he created which I answered on moderating chat here: How do I moderate my own chatroom? A user with less than 2,000 rep is on an edit spree, changing nothing more in all the posts they're editing than one or two small word(s), and their edit is either incomplete or is not an improvement of the post each time. [...] How would you handle a similar situation with a user who has full editing privileges? This is one of my pet hates and it is one I've encountered and helped to deal with in the past via meta posts and/or flagging for mod attention. I believe that there should be no leniency with this one - users need to know that they must exercise caution and responsibility when editing community content. If they cannot edit properly then they shouldn't be doing it. For a user that requires review approval I would revoke their edit rights for a period of time and look to roll back their edits. For someone with full editing rights they still need an editing holiday, although this is trickier to implement due to the tools and/or process. A VLQ flag should not be used to indicate I don't like this answer or I don't understand this answer. I would decline the flag because answers like this must be dealt with first and foremost by community voting. Once sufficient down votes have been accumulated the answer can be deleted by the community. While dealing with the flag I would also consider leaving a comment asking for further explanation - I like to leave feedback wherever practicable. I have an extensive Meta contribution across two different Metas, possibly the most for any of the candidates. This is a great indication of my style and community input. I have a number of highly upvoted answers (and here for Meta.SE), and I even leave my negatively voted answers up where my opinion hasn't been popular. Some users might contribute good material, but the community is greater than the individual. Moderators have tools to contact users in cases like this. If the user refuses to learn or persists with their behavioral issues then there can be justification for a suspension. When working as part of a team you have to respect the other team members, especially if you want them to respect your decisions. I would have to have good reasons to challenge their action, if so I would raise it with the other moderator in private and talk it over with them. The only time I would arbitrarily undo another mod's action is if it was in response to a flag or edit that had fundamentally changed the offending post. This is a tricky one and there is no one right answer. While minorities might be offended other people also have the right to express themselves. Stack Overflow is a very large international community, so unless the post was deliberately abusive, trolling, or just unnecessary then I would tend to leave it alone. Deletion doesn't make the question/answer history go away. Where warranted my preferred action would be to have the post anonymized, or have confidential information redacted by the SE staff. 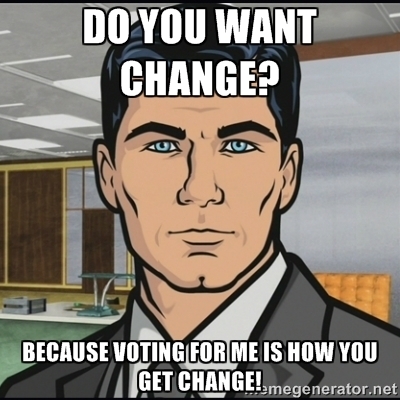 I can state categorically that being a mod has changed my close voting behavior. Unless the question is blatantly in need of closure I will defer to the community - once it has 3 or 4 close votes I will then cast my own. For regular voting actions (i.e. with no flags) it is important to let the community take action first, it is not the moderator's duty to dictate how the community should vote. Personally the only thing I feel needs immediate action is the process in the close vote queue - every time I go to that queue I feel my life force draining away as it is tediously boring and takes a good amount of time to review properly. I'm not sure what the solution is, but it does need some more thought. Trolls and trouble makers need to be stopped no matter which outlet they use. So yes, I would help moderate the chat rooms. If those edits are harmful or completely superfluous e.g. they add unnecessary formatting and they clutter the Suggested Edits queue, then they are a relatively small problem. Not all reviewers are robo-reviewers, plus there're bots that detect controversial edits and report them to principled people. Those with too many rejected edits get banned fairly quickly. If I notice this pattern I'll politely warn the editor about consequences of their actions and ask them to stop. If they continue, I'll put a temporary edit ban and go through posts they edited to see if there’s anything that needs to be done. The situation becomes worse if the editor has more than 2k of reputation: these edits are likely to go unnoticed. I'll most probably perform the same actions, we'll see how bad those edits are. If edits are minor, but neither harmful nor superfluous and they appear in the Suggested Edits queue they often aren't a problem (thank reviewers that improve edits), but they do become a problem as their quantity increases. Same as 1. They are not a problem, when the user has full editing privileges. There are often good reasons for such edits (tag burnination, retagging, removing “Thanks” etc. ), they don't require any actions. No, I do not. They are answers and are not very low quality ones. The best course of action is to downvote, comment, and move on. 20k+ users can delete answers with negative score and they often do so. When the community can handle the situation, it's best for moderator to not intervene. No, I don't think I do. Does Names of room-owning moderators should be italicized count as “attention to details”? The steady stream of valuable answers does not mean that the toxic behaviour should be tolerated. I'll tell them that in comments and/or via a (semi-)private, possibly even off-site, way of communication. If they choose to continue, I'll let other moderators know about the issue and ask them whether they think the situation warrants a temporary suspension. As far as I can tell, it's better to let another diamond moderator handle this. The last thing the site needs is the rollback/close vote/delete vote war between elected moderators. and delete the inevitable discussion the flagged post/comment spawned. In case the post/comment is extremely rude, the poster is likely to get a temporary suspension. If it's obvious that the post/comment isn’t rude or offensive, I’ll decline the flag and explain my reasoning. If this isn’t a clear-cut case, I’ll ask what the CM team has to say about it. This isn’t really a question about moderation, but rather about the Stack Overflow licensing rules. The content created on StackOverflow belongs to Stack Overflow. Users shouldn’t be deleting useful content. Given that answers are very good, I will not satisfy their request. This has been brought up multiple times on Meta(s). Yes, I will vote to close slightly less often. I recently got a python tag gold badge, so I already have experience closing questions single-handedly and reopening them if my decision was wrong (doesn't happen often though). Yes, I will. As I mentioned in my nomination, I’ll try to remain active in chat. My first choice would be to contact the user and tell him that should stop that minor edits and that he should try to make significant changes not just one or two words. If that user is just interested in fixing typos I would ask him to stop that until he has reached the edit privilege for minor edits. With the edit privilege he can continue improving also minor things since small typos can change the meaning or just disturbs the readability. However the focus should be always on the complete posting. If there is a batch of just changing one special typo I would ask the user to stop it and remember him to improve the full post and no single words. That is hard to say in general it depends on the complexity of the problem, the votes and the views of the question. If the question has also a negative score or is closed as duplicate I would properly delete the whole question especially if it has no much views depending on the age. If there are multiple better answers I would delete the answer ether or might be not if it is somehow beautiful. Well this one here where I collected some racist sock puppets. Out of the view what I try to help Stack Overflow this observation might be from interest. That really depends on what causes the flags. If this has a serious background I would ask the user to stop the reason of the flagging. If this does not help a temporally ban might help to let the user think about it. If this still does not help it is in my opinion better to ban such a user when he is a trouble maker, no matter of the good sights. Same rules for everyone. I would get in touch with that moderator to give him the change to revert that operation of cause just when he agrees with me. You should never do the exact opposite of another team mate because this causes a bad view of the whole team. If I would not be sure, I would ask other members of the team. If this belongs to a irrelevant small group I would handle the flag but I would reject the offensive part since that could harm the user which was not intended on both sites. If the posting does not contain secrets like API keys or some other which really risks the user I, would edit this details out and ask a CM to delete revision, in the meantime I would also delete the whole posting temporally. If this is just about homework or something similar I would not delete it. Stack Overflow is a public resource. End of discussion. Sure this would change my behavior since I can do more, I would do more. With more powers you get more responsibilities. So I would do what I was asked for. The only thing I would change if I could would be the review limits. I guess there should be more then 20 reviews per day, but you still need to care about the users. It should been avoided that some users review 24/7 there is a real world out there. I already moderate the chat where I am daily I clean it up regularly without being an evil mastermind. I guess all users in the chat will agree that I do a good job in this matter. As I explain in my faq answer on suggested edits, edits should be substantial. Edits that are submitted directly don't have to be complete, but suggested edits that don't substantially improve multiple aspects of the post should be rejected. Given this, it's likely that both the editor and many of the edit reviewers don't know the requirements for suggested edits. To educate the editor, something as simple as inviting them to a new chat room and explaining how edits must be substantiative will probably be enough. As for the reviewers, the simplest and most effective way to correct their behavior is to ban them from review and explaining their mistakes. Out of all the crappy posts on the site, why delete an answer which goes to the length to give a complete solution? An answer with code only is arguably better than an answer with just explanation, provided the code speaks for itself. It's obviously not the best answer, so I could nudge the author to provide some explanation via a comment and perhaps downvote it, but an answer of working code is pretty good in the grand scheme of things. I'd decline the flag. Now, there are some exceptions to this. If it's a popular question with many other answers, many of which have code and explanations, the answer will not provide anything new (especially so if the approach was already mentioned). In this case yet another low-quality answer is just noise. Also, if the question was an off-topic debugging request, the answer just feeds a help vampire without benefitting other members of the community. In this case I'd probably delete the entire question if it couldn't be edited into something more helpful. But these are edge cases, in general there's nothing a moderator needs to do about answers which only contain code. Answer to Destroy the [slowly-changing-dimension] demonstrates my ability and inclination to… erm… take charge! Every member of the community must abide by the Be Nice policy. Noisy and rude comments should be flagged and removed — high-rep users get no exemption. So in this case I would communicate with the user to remind them that comments aren't for arguments. It's fine (provided it's mutually respectful) to discuss further in chat. If the user however ignores this and keeps generating noise in comments, I would need to consider a suspension. Of course I would only suspend a valuable member of the community with consensus among several other moderators. It really doesn't matter what happened to just one borderline question. I'd just move on with life… If others disagree strongly enough they can start a discussion on meta. If I think that the post was made with inflammatory intention, I'd delete it. Otherwise, things shouldn't be censored just because it annoys some people. With such a diverse community a lot of things are bound to be offensive to a subset, so it's infeasible to try to make everyone happy. However, if the post contained something obscure enough that I couldn't try to gauge its intent, I would contact another moderator to confirm whether it's ok or not. I would probably vote to close questions less since I'd be focused on mod tasks rather than closing. I would also want the power of deciding edge cases rest on the community and not be unanimously decided. I think there needs to be less incentive for answering questions that will be closed. Now, answerers looking for easy rep can answer the easy and poorly-asked questions and gain quick rep even if the question eventually gets closed. This may be a bit difficult to implement however, and I'm not quite sure how you could do this without negative side effects. But if implemented, it should help weaken the bond between the help vampire and the overeager rep-hunter. Of course, more moderators in chat shouldn't be used as a crutch to the difficulty for chat to self-govern. There need to be some better mod tools to empower regular chat users too. He / she is doing this on purpose. If a person knows that this is a mistake (45 similar/identical edits in the course of an hour are too many edits from a person with legitimate interest in improving the community) and still does it for personal gain (a badge? ), then he has to be punished appropriately. A small ban would do, 2-3 days would be enough. Not punishing the person will make them believe that they can do anything here. This should happen irrespective of what privileges / experience that person has. The ban could be increased if he OP is promoting stuff / vandalising posts in the edits. The answer should stand. Remember, the answers we post are not only for the OP but for every person out there. If the code is correct and self-explanatory, then I would leave a comment asking the poster to explain his answer. But the answer stands. Yes. This post shows what I intend to do with rude people asking improper questions getting answers. If the user is picking up fights or posting inappropriate comments, then he will have to be suspended (or warned, depending on what he has done actually). A private chat telling the OP that rudeness is not acceptable on SO should be the first thing. Talk to the other mod and tell him what you think might have been the best way to handle the situation. We can't ignore blind people because most of us can see :). If that post is really offensive even to one user, then it has to be removed. This has to be handled on a case-to-case basis. If there is some code that the OP doesn't want his teacher to see, then it is OK to keep it. SO is not a clipboard where you have post a question, get an answer and then say bye-bye. If there is an employee who has inadvertently added some code which he shouldn't have, then deletion is the right way to go. Or even editing the question by removing the trouble-causing part would make sense (if people are able to understand what the question / answers are). No. It won't. If there is a bad post, it will get a close vote. Power to close / delete posts wont change me. Yes, I could do that. I can't say I would be great at it (like Jon :P) but I can try. The user doing the edits would get, minimally, a moderator message pointing to the guidelines for making edits. If they have a history of this behavior (on Stack Overflow or on other sites), it may warrant a short suspension as well. For the reviewers, I'd look to see if they were trying to game the system for review badges or just made a mistake. I'd revoke review privileges and send a moderator message to them if I felt that it was attempting to game the system. Yes, I'd delete the answer. But I'd also throw the moderator notice about answers requiring an explanation and a comment on the question to help the user out with understanding the expectations. A couple of people have pointed out in the comments that this answer is controversial, so I'd like to expand on it. I'm a firm believer in promoting high quality questions and answers that are useful to the broader population. Answers should be complete and thorough. My concern is not for the OP, but for people who stumble across this question in the future from Google, perhaps new programmers who may have never been exposed to Stack Overflow before. I don't want these people to get the wrong impression of what this site is - I want them to see helpful answers that explain why something is the way it is or drawbacks to certain answers. This will make them more likely to stick around, perhaps turning into people who generate good questions and good answers. Taking on the perspective of an expert, I'm discouraged by quickly posted answers that are low quality. If I'm spending 10-15 minutes working on an answer that includes code as well as explanations, and 3 or 4 people post low quality answers that aren't complete and get up votes (or even a quick accept), my hard work gets buried and may not get recognition. From the perspective of people looking for questions to answer, once a question has answers (and especially if those answers have up votes), finding the question becomes more difficult. I may have a better answer, but not be aware that the question doesn't already have a good or great answer that I can provide. Finally, down voting and deleting these low quality answers can trigger an answer block until the user goes back through their answers, edits them, and gets them undeleted. If they can't provide the kind of answers that we expect, then they won't be welcome to answer questions here. This sounds harsh, but I think that it is best in the long run for any community. Deletion is not permanent - it's intended to be undone if and when the answer is fixed. the trend should be to encourage higher quality answers. On Meta.SO (post-split), not really. I've been more of a passive participant on Meta.SO since the Meta.SE split. If you would like a demonstration of Meta participation as a moderator, I would point out that I've been a moderator on Programmers.SE for several years now and do have not-insignificant meta participation there. A moderator message is appropriate. If continued, suspensions are also warranted. At the end of the day, I'd rather have one person be upset and perhaps leave the site / network than have that person drive away two or more people who could turn into valuable participants and community members. I wouldn't unilaterally open it. I'd ping them in chat and ask first. If there's a Meta discussion about it, I'd also forward it to them and let them handle it. If there are flags and/or a meta discussion indicating that the community thinks it should be reopened and the other mod isn't responsive, I'd evaluate myself and reopen if I agree with the community. I'd make sure the other mod was in the loop on what happened, though. If I think that it seems offensive, I'd take action like any other offensive post. I can use Google to get background or even talk to other mods in private. If it was a comment, I really wouldn't hesitate to delete. Repeat offenders can be dealt with as well, with annotations, mod messages, and suspensions, if necessary. For posts, edits (or deletions if the post is not saveable) and annotations, mod messages, and/or suspensions would be appropriate. No. I'd elevate this to the CM team for disassociation. I'd also edit any personal identifying information out of the question and ask for those edits to be removed by the CM team. However, I'm not going to allow good content to be destroyed by a user if it's helpful to other people. No change, really. I may be less likely to cast the first close vote on a question, though, unless it's very clearly closeable. I don't think any. The rules appear to have generally worked pretty well, and the methods available to the community for changing approaches seem to work across the network. It depends. Unless it's either clearly a serious problem or its in a room I frequent, probably not. If I'm asked to provide help, I will, but I don't think I'd "babysit" any chat rooms. In my experience with handling users who are trying to go around the system - aka here to gain rep or (less likely but possible), manipulate questions, the best way is to engage them personally. Let them know what they're doing wrong and the potential consequences if continued (be it suspended edit rights, or a removal of reputation equivalent to the bad edits accumulated. No, a correct answer is a correct answer. Again, engaging the user to guide them to create better answers is key. While the answer doesn't deserve to be deleted, one can ask the poster to add an explanation. At the most, downvote, comment and move on. I do! My question here about "targeting users" by finding (not going out to find, but coming across) a user and seeing they have poor quality questions and answers. My personal opinion is that if you are not downvoting out of spite, while you are indeed targeting the user, you are obligated to provide feedback of the quality of the answers be it downvotes and or comments. I would chalk this one up with borderline the edit spree question. Talk to the user, let them know that their comments cause issues. Help them word their counter arguments to come off less defensive or aggressive. If that doesn't work, (if possible), remove commenting rights for a short period of time. Depends on the situation. If I was a moderator when this happened, I would talk to them privately. From my experience on being a "staff member" (game staff, irrelevant), making a public scene with another staffer is poor public image. If I was not a moderator, I would take it to the community with a meta post, unbiased explaining why I felt the question should not have been removed or closed, and see what the community says. This is a tricky one. It could very well slip the mind if some foreign term was used that I was unaware as pejorative. However, if I did see it being an offensive term, give the user a strict warning that racial or religious or any other human intolerance is not to be had here. Bad news bears! There is a way around this. You could always attempt to make the question anonymous, be it a Community answer, removal of sensitive data, and an explanation that the question could benefit future users. If the question is unable to do that -- delete the question, and try to make a similar situation as an question and propagate the answers to who posted them. If it's a good question with good answers, it's worth the time for the sake of the future people it will help, but it's also important to respect the users education and career line. The golden hammer is immense responsibility. One vote shuts down an entire question. I would most definitely think twice about closing a question, making absolute sure it's a duplicate, or too broad before using it. Some blatant cases are easy, but when in doubt, let the community decide, maybe throw in a comment to attempt to salvage it. I whole heartedly agree with Vinod on this one. Downvotes should require a reason. Several answers I have personally posted were downvoted, and to this day I don't know why they were wrong, which irks me because I wish to learn. I don't like posting bad material! I like to know why, so that I can fix. The reviewers should get a 3-day suspension for reviews. We don't need robo-reviewers here. The user should receive an email pointing to the FAQ on what makes a good review, with a warning that further non-compliance will receive a 7-day suspension from reviews. I would respond identically to a user with full editing privileges. I would add a comment directed at the user who answered, asking them to expand on the answer. I would mark the flag as helpful, but decline it. Yes. I like my answer to "Why do people take downvotes so personally? ", because it shows a little of my sense of humor as well as my ability to provide a good answer to a serious question. A personal email, letting them know we value their input but have also received a few complaints. Then a gentle reminder on expected etiquette from the user base. You catch more flies with honey, as the saying goes. Take it to chat. I'm a reasonable guy, if you can provide a good answer to why you closed the question, I might change my mind and agree with you. I'd mark the flag as helpful, but decline it. Unless it was really overt, then I'd remove the comment. Once a question is posted, it becomes the property of SO under the TOS. The question would stay, although I wouldn't be adverse to editing anything that can cause it to create distance from the user yet still keep the spirit of the question intact. I think I would push for comments to be able to be downvoted out. Or hidden. I think Discus does this on their MBs; when a comment gets enough downvotes it gets automatically hidden. Right now, you can only either flag or upvote a comment, and that limits what can be done with them. Yes, I would moderate chat but I think it should be done in shifts if you're looking for complete moderation. I understand that this is entirely volunteer work, but having each moderator take one hour or so could allow for chat to have constant moderation without putting too much pressure on one person to moderate it. Why do people take downvotes so personally?